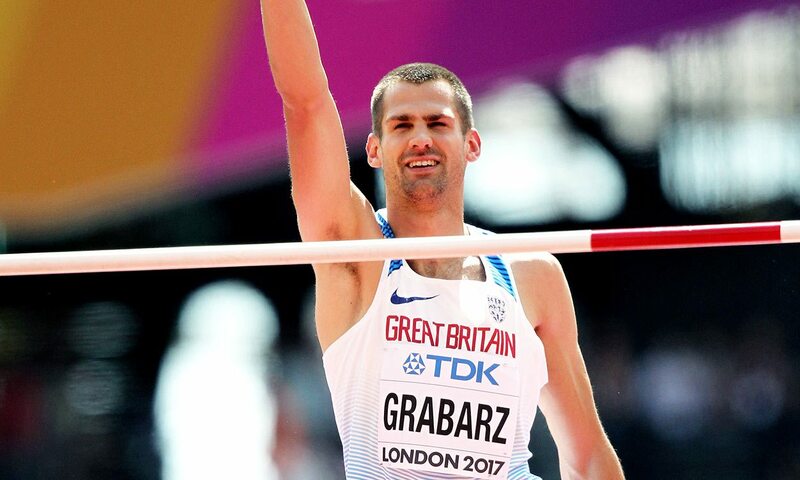 British high jumper Robbie Grabarz has announced his retirement from athletics at the age of 30. The Newham & Essex Beagles athlete claimed Olympic bronze at the 2012 Olympics in London before winning the overall Diamond League title that year and securing world indoor silver in Portland in 2016. His successful career also included winning European gold in 2012 and silver in 2016. Known for his determination and his ability to battle back after adversity, such as the knee problem in 2014 which kept him out of action for over a year, Grabarz also required an emergency appendix removal last year but returned to claim European indoor silver just a couple of months later before a summer which included the eighth senior global championships of his career. He finished sixth at the IAAF World Championships in London and earlier this year represented GB and then England at the World Indoor Championships in Birmingham and the Commonwealth Games on the Gold Coast respectively. His PB of 2.37m is the joint British outdoor record. “I’m glad I got myself back into shape this winter – I needed to do that so I knew if it didn’t work it wasn’t through injury,” Grabarz explained, when announcing his retirement. “I’d got to the point where I wasn’t enjoying competing and didn’t want it anymore. I’ve seen people carry on too long past the point of enjoyment and there is no need, life is too short and I want to feel positive about my time competing. I’ve had a great time in the sport – 20 years’ worth – and have genuinely loved jumping. “I’m so grateful for everyone who I have worked with, had support off and known within the sport,” he added. “There are too many to name but so many people helped keep me going. There was a point in 2011 when I thought I was done then, so to get almost another seven years in the sport was pretty special. “So, from the person who maybe clapped my run up once, to those I worked with closely every day, thank you for being there. British Athletics performance director Neil Black commented: “Robbie has been at the top of the sport for a number of years and it is with sadness that we see him retire but I want to congratulate him on a fantastic career spanning a number of years. He has a big character and a big heart, and has been a key addition to British teams for more than a decade. “Robbie is a big stage performer and has delivered at a number of major championships. He has been a key part of successes for British athletics over a number of years and that must be celebrated.